Welcome to the EVERGREEN LANDSCAPE MANAGEMENT INC’s website. We specialize in Landscape Design, Landscape Installation and Large Property Landscape Management. We are located in Richboro, Pennsylvania and have been creating and managing Bucks County’s finest properties since 1981. We have clients located in Newtown, Langhorne, Buckingham, Yardley, New Hope and other surroundings towns. Whether you want to create a new landscape, renovate an existing one, or simply enhance the condition of your turf or current surroundings; We’ll translate your ideas into the details that will show off the best assets of your property. At Evergreen Landscape Management Inc. it is our goal to provide the best Quality Landscapes. 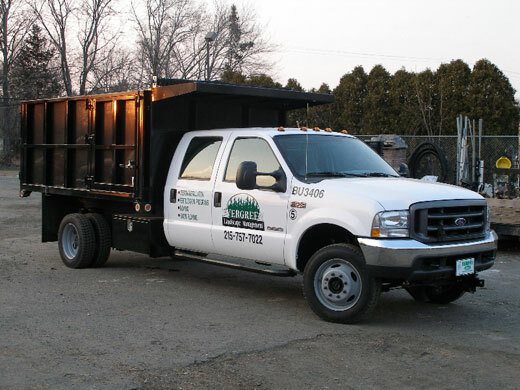 You can be assured that all of your Landscape, turf management, and snow plowing needs will be taken care of in a timely, cost effective, professional manner. We strive to create and maintain excellent long-term client relationships, and to bring your Landscape Visions to Life. design and landscape management services can do the same for you!